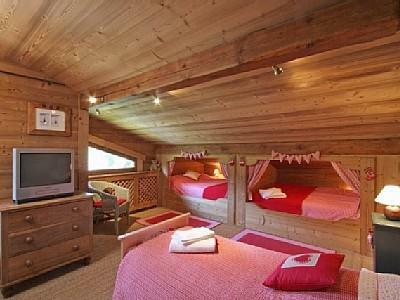 Chalet Les Cimes is a privately owned, cosy, family Megeve chalet rental that has been furnished to a high standard. The property comprises comfy leather sofas, an open log fire, antique mountain furniture and can accommodate up to 12 people. 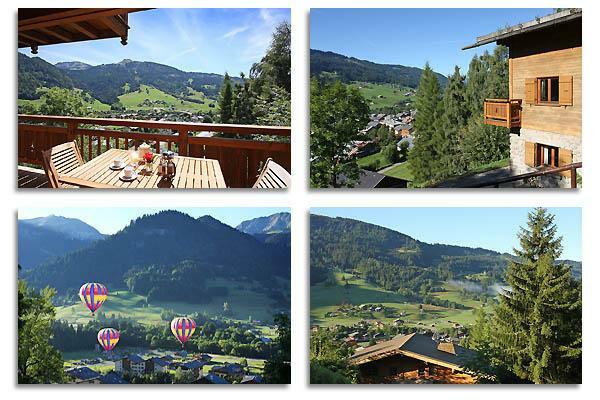 It enjoys spectacular views over the ski slopes of Megève and Praz sur Arly, just one hour from Geneva airport. A ten minutes walk down the hill or two minutes drive takes you to the ski slopes and the charming local village of Praz sur Arly where you will find all of the ski hire shops, restaurants and necessary amenities for your holiday. The picturesque town and ski slopes of Megève, considered one of the prettiest resorts in France, is only a seven minutes drive round the mountain. Megève is one of only twelve classic alpine villages classed as a ‘Best of the Alps’ resort and the car-free, cobbled centre with its wonderful choice of restaurants, exclusive shops and galleries is well worth visiting! 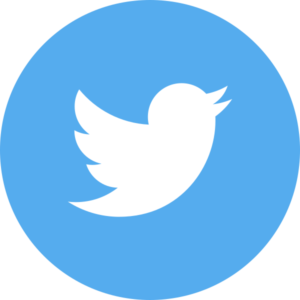 Four bathrooms (one en-suite) located on each of the three floors and all of the double bedrooms enjoys sole use of a bathroom while the children share a bathroom and separate lavatory on the second floor. - Logs and welcome groceries. 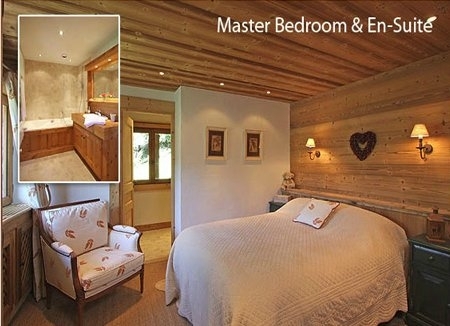 Megeve Self-Catered Holiday Chalet just one hour from Geneva. Chalet Les Cimes is a privately owned, cosy, family chalet that has been furnished to a high standard. Ski slopes seven minutes drive. FOR MORE INFORMATION - PLEASE CONTACT OWNER USING THE ENQUIRY FORM BELOW.